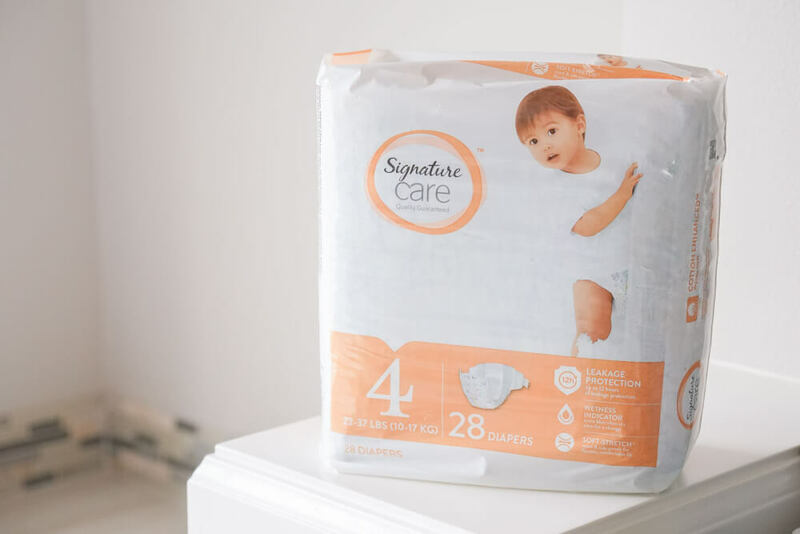 This is a sponsored post written by me on behalf of Signature Care diapers. All opinions are my own. one that was downright terrifying! 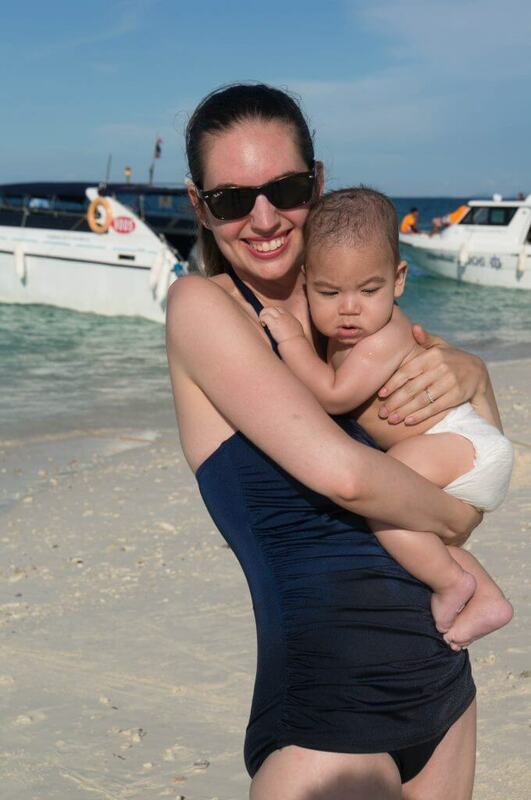 For our first flight with a baby, we decided to go all the way to Thailand when our son was 6 months old! That’s about 14 hours of flying from Seattle. I had envisioned trying to console a screaming baby while all the passengers glared at me. Thankfully, he slept the entire first leg of the trip. And then, stayed awake long enough to smile and coo at the people around us before falling asleep for the next flight. When our oldest was 20 months old, we accidentally slept through our alarm on our first day in Rome, Italy. We woke up when the front desk called to say our golf cart tour guide was downstairs! 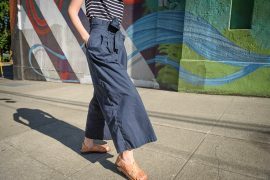 We were all still in jammies, so we spent 5 minutes frantically getting dressed, changing our toddler’s diaper, and throwing a few things in a backpack. I strapped my son in our baby carrier and we spent the next 3 hours zipping around Rome in the open air golf cart. The tour was fantastic, but we couldn’t stop laughing at our son. He looked as though he woke up on another planet and had no idea where he was or what we were doing! Flying with a potty trained toddler can be so stressful. We were on a flight that had a lot of turbulence and the fasten seat belt sign was on the whole time. Of course, my toddler had to go potty and we didn’t know how long until we could stand up to go the to lavatory. So, being resourceful, I grabbed a spare pull-up from my bag and had him wiggle out of his underwear and put on the pull-up so he could pee. Then, he changed back into his underwear and pants and I put the dirty diaper away in my trash bag. Crisis averted! We decided to take a cruise around the Mediterranean when our oldest was almost 2 years old. We opted for a sit down dinner every night and our server was just gaga over our son. When our toddler discovered he could dip his bread in olive oil (and that it was delicious) he insisted on getting it every night before dinner was served. Our server thought this was adorable and would make a big show of getting him his own dish of olive oil and bread and pretty soon other servers would come and they’d make a big production. It was the first time we really felt relaxed while traveling with kids. On our last trip to Rome, we took our oldest on a unguided tour of St. Peter’s Basilica. My husband was off taking photos so I was leisurely strolling with our toddler inside. All of a sudden, a group of Chinese tourists approached my son and started posing for photos with him! He’s half Chinese and half Caucasian and sometimes he gets a lot of attention because of that. Then, other tourists started to stop and watch to see what was going on. It caused such a commotion that the guards asked us to leave! We were on one of those flights where the fasten seat belt sign was on almost the entire time. I thought I would be most worried about my toddler and whether he’d need to rush to the lavatory. However, my heart stopped when I saw my baby wrinkle up his face (you know that face) and produce one of the smelliest, poopiest diapers. It started smelling immediately, however, we were all still requested to stay in our seats. I wasn’t sure what to do. But the smell kept getting stronger and stronger. I’m such a rule follower and felt so conflicted. I figured we would get yelled at I attempted to bring him to the lavatory so, I made the decision to change him right on the seat so he wouldn’t be sitting in a dirty diaper the rest of the flight. I was almost finished when the fasten seat belt sign turned off and the flight attendant walked by, looked disgusted, and then lectured me about how there’s a lavatory in the back of the plane. It was possibly the worst feeling I’ve ever had as a mom. I tell you these stories because you just never know what might happen when traveling with babies and toddlers. However, you can try to set yourself up for success. Here are my top items to pack when traveling with little ones. Signature Care diapers have that helpful wetness indicator that lets you know your baby has a wet diaper. This makes it so easy with newborns and infants. What makes Signature Care diapers great for travel is that they have a 12 hour leakage protection. And there’s a cotton enhanced dryness layer, so your baby will stay comfortable. I like that I can just run to my local Safeway or Albertson’s store to grab some on the way to the airport. It makes me feel prepared to handle long flights with kids. 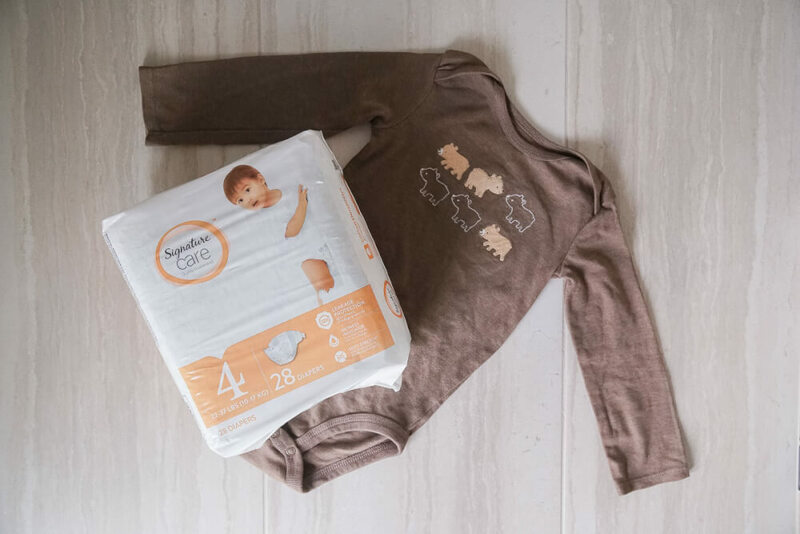 Receive a free 5ct sample of Signature Care Diapers and a $2 off Coupon to use on any Signature Care Diaper or Training Pant Product! Wipes can get heavy, so I like to divide them up and put in resealable bags. I keep a small pack in my carry on and pack the rest in my luggage. Traveling with babies and toddlers can be messy. Pack a few plastic bags in case you have a stinky diaper with no trash can in sight. Or, stash vomit-soaked clothing away from everything else. These also come in handy if you need to sit on a wet bench to nurse your baby or your toddler really wants to swing after it’s been raining. My kids are binky babies. I like to clip one or two to a shirt, then I pack several more in my carry on bag and pack a few more in our luggage. My kids have been particular about brands (nope, they didn’t like the same brand) and I refuse to spend my vacation running around looking for a binky. So, if your kids have some sort of comfort item, don’t leave them at home! And pack an extra, if you can. I’ve seen families tether a lovey or stuffed animal and clip it onto carry on luggage for safe keeping. And write a name or contact info on the item in case it gets lost. If you use formula, I’ve learned to bring 2 clean bottles on flights. That way, you won’t have to stress about washing one in the lavatory. Same goes for sippy cups. I like to grab a bottle of milk at the airport and then pour some into a sippy cup for toddlers. About halfway through the flight, we usually switch to water (or milk if/when they have some available) so I also switch cups. One of the most important things you should add to your packing list for babies and toddlers is a comfortable baby carrier. Try to pack one that fits all caregivers on your trip. I like to use mine on the airplane, at the airport, while unpacking the car, on tours, and exploring on vacation. If you usually put your baby or toddler to sleep in a sleep sack, make sure to bring it! We’ve left our’s at home so many times and it’s just so much harder to get them down to sleep. Same goes for white noise machines, special blankets, toothbrushes, books, and anything else you usually need. For travel days, make sure to pack a few outfits for your kids. With blowouts, spills, excessive drool, etc, you might need to swap their clothes before you get to your destination. 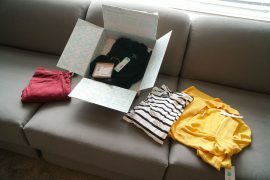 And if you don’t have access to laundry on your trip, add in several additional changes of clothes. Remember to bring lots of layers! If you are particular about what your kids can eat (or they are picky eaters) make sure to pack lots of their favorite snacks. You won’t want to spend your vacation searching for specific crackers, pouches, yogurt melts, etc. Pack some for the plane/car and put some in your luggage. Bwhahaha! YES! I know exactly what you mean! THIS is so beyond good to know because my husband and I are legit traveling the second our son comes in December! My sister brought her 1.5 year old to SE Asia with my whole family and she did all the right things because her daughter for the most part was pretty well behaved! You will be FINE! Newborns and infants are super easy travelers! Definitely bring a carrier so you can wear your son through the airport, on the plane, and during your travels. Traveling with a child of any age is difficult. I’m so glad you were able to find a solution for you little one when it came to using the potty. Totally! It’s definitely getting easier as they get older! Yes, I’m all about encouraging our kids to explore the world beyond our home! Yay! Thanks for your support! Signature Care is a must try product. I always wanted to try this for my baby and I have heard a lot about this before and been looking for this one. The diapers are really soft, too! This couldn’t have come at a better time because I’m getting ready to take my first flight with 2 kids next month. It’s not a long flight (Miami to DC) but it’s still never wrecking, especially since I’m doing the initial trip on my own and have to lug all our luggage with me and the two kids. I’m still trying to think of a way to do this, as well as take their car seats without too much of an issue. Thanks so much for reaching out via Facebook! Glad I could help with logistics and can’t wait to hear how it goes! Great list! I remember first time we flew international with our son we were clueless, and didn’t pack correctly, forgot diapers on carry on, what a mess! Oh totally! We packed all the wrong things on our first international flight with kids! I don’t have kids. And after reading it I’m just left with one word. Wow! Haha! It’s always an adventure with kids! Traveling with kids can be a nightmare if one does not prepare properly, but I am a firm believer that kids should travel and experience the world. YES! 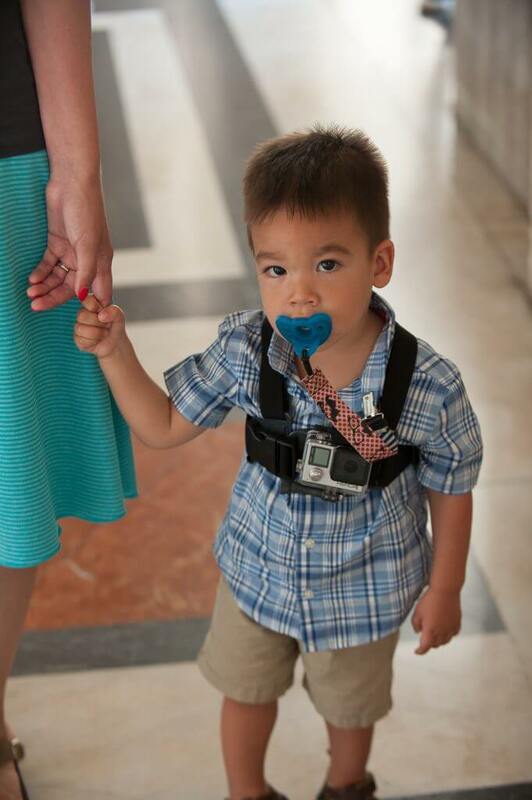 It’s the only way to raise a generation of considerate travelers! I found this info to be so useful because I literally am going to be travelling with my daughter in 2 weeks. Thanks a bunch for sharing! Organization is the key to life with kids! Super helpful ideas. Will have to keep these in mind when I have a child. Please do! I have lots of family travel tips! It can be tricky, but that’s why I’m sharing my tips! Excellent information for anyone traveling with kids. Traveling with little ones can be tricky. Being prepared and well stocked with the essential is crucial. We went to West Africa this summer and I’m so glad we picked the red-eye direct flight. My 2 year old slept most of the way, which was a relief, because I was so nervous! Oh nice! You just never know about flights until it’s too late! Glad your toddler slept! I remember traveling to the Philippines with my boys when they were only 3 and 1 years old, OMG you have no idea! Great tips for traveling with kids here. Haha! Those flights to Asia can be brutal! I got some tips for our next travel with my son. 🙂 Thank you for sharing! Oh good! Love helping other parents! You are my hero!!!! Traveling with a baby is hard! These are some awesome tips! It is super hard sometimes, but totally worth it! 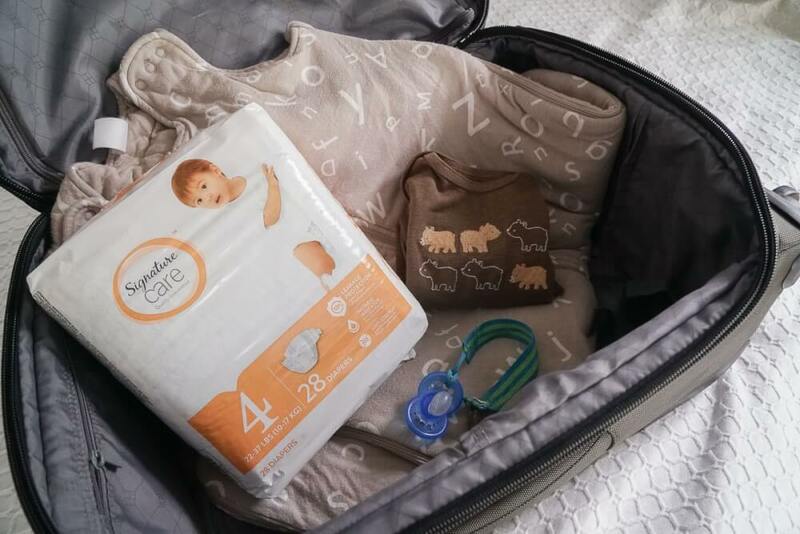 I can so relate to all these essentials : diapers, plastic bags a must have to me as a twin mom! Thank for sharing! Oh totally! You never know when you need a bag! I don’t have any kiddos but this guide seems super helpful. 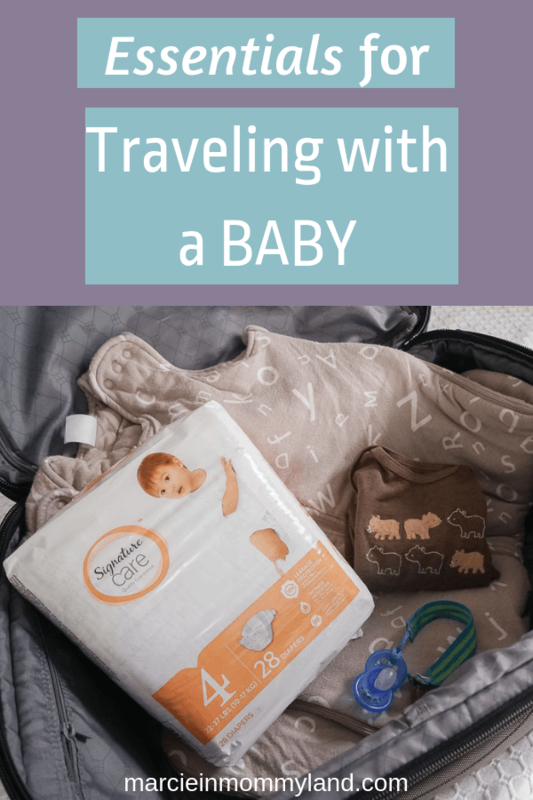 I’ve always wondered how it is to travel with babies so I’m sure these extras and tips are SO helpful to others! It’s definitely more complicated, so tips are extra helpful! Travel with kids is definitely so eventful! Those moments are definitely so worth it.